Clean stubborn mold and mildew without harming the environment! Mold and mildew are a real problem for boat owners around the world. The wet, nautical environment promotes the growth of this often foul-smelling eyesore. Marine 31 Mildew Remover quickly removes mildew stains from almost every marine surface including vinyl & canvas seat cushions, bumpers/fenders, gel coat, fiber glass, canopies, flotation devices and water tubes. Stop one of boating�s most common eyesores in its tracks with Marine 31 Mildew Remover. 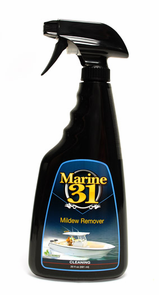 Marine 31 Mildew Remover quickly destroys and lifts mold and mildew from virtually any surface. Instead of using hash and environmentally unsound cleaners, Marine 31 Mildew Remover uses organic chemistry to kill and dissolve this fast spreading nuisance. As the name suggests, Mildew Remover is the ideal solution to remove both fresh growth and stubborn stains. Strong cleaners or pure bleach are often the recommended treatment to kill mold. While they may do a great job cleaning, they may also promote the oxidation (chalking) of vinyl surfaces. What�s more, when you hose them off, you rinse it into the delicate marine environment. Like all Marine 31 products, Mildew Remover is eco-friendly and harbor-safe. You don�t have to harm the waterways you pilot to have a great looking boat. Spray directly onto surface and allow 1-3 minutes of penetration. If necessary, agitate surface with a brush or terry cloth towel. For stubborn stains, allow cleaner to penetrate for 5 minutes prior to agitating. Follow with Marine 31 Mildew Guard to protect clean surfaces. 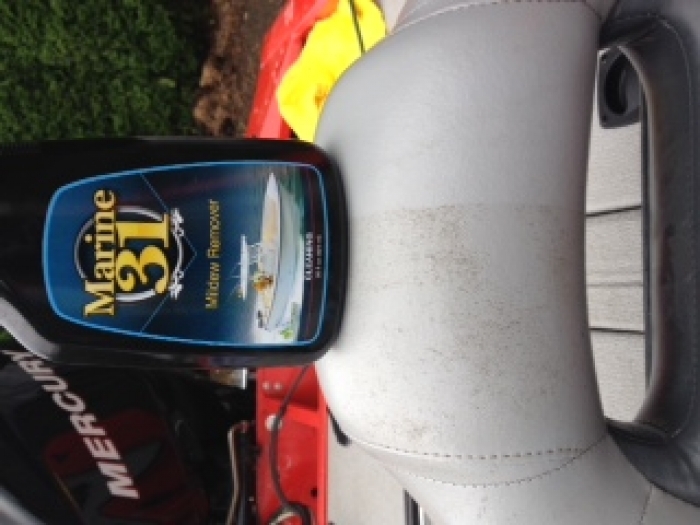 I never leave port without a bottle of Marine 31 Mildew Remover. I like my boats to be in tip-top shape. 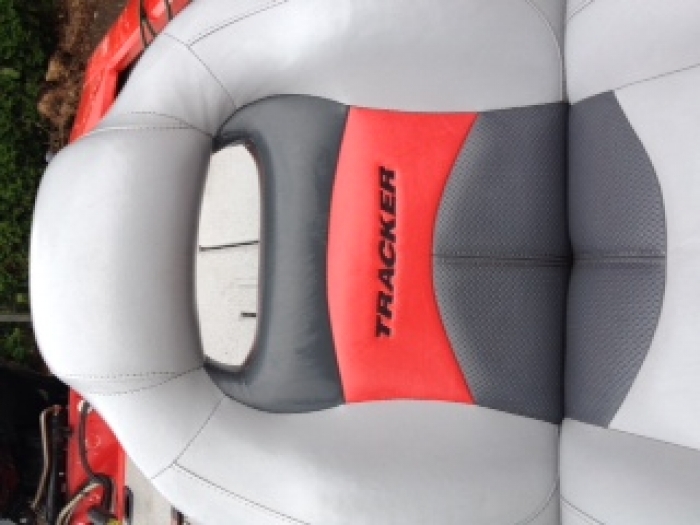 Nothing looks (or smells) worse than moldy seats or mildew-covered life jackets. Use Marine 31 Mildew Remover to keep all parts of your boat looking (and smelling) great. I've never seen a product work as fast as Marine 31 Mildew Remover at dissolving mildew before my eyes. Spray it on and within moments - no more mildew. I've used it on both vinyl boat seats and pool floats with amazing results. It may cost a little more then a gallon of bleach but it's far safer! Marine 31 mildew remover did what is said it would do! It removed years of dirt mold & mildew. Important to spray evenly on seats, let sit, use a rag or soft brush to get the texture cleaned. Rinsed off and I had to repeat. After the second application cleaning my seats look new. Only do a particular area at a time. Not sure of the formula but you do get a mild bleach smell. So I made sure I rinsed the surface and surrounding area well. ProsMarine 31 works! EZ to use. ConsReally nothing bad to say. Just rinse off the product and dry well. Boat was covered with mildew, some spots more than others. Most spots come right off with minimal effort. On difficult areas, just need to spray and wait a bit before it works.Great product! I THOUGHT MY BOAT COLOR WAS A LOST CAUSE!! This mildew remover brought back the bright white color of my hull and vinyl seats I thought it would never become gleaming white again but this was my final try and it worked!!! !